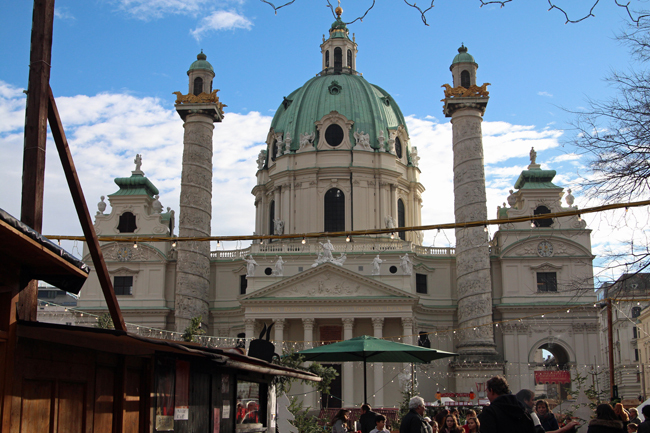 After our morning at Schönbrunn Palace, we decided to hop off the train a stop early to explore Karlskirche Christmas Market. It was a quick exploration as we were both hungry and there weren't a lot of food options that tempted us. 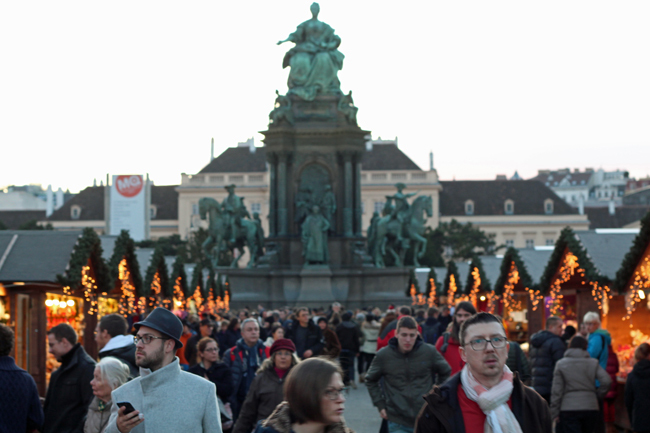 Instead, we headed for nearby Naschmarkt, Vienna's most popular market. 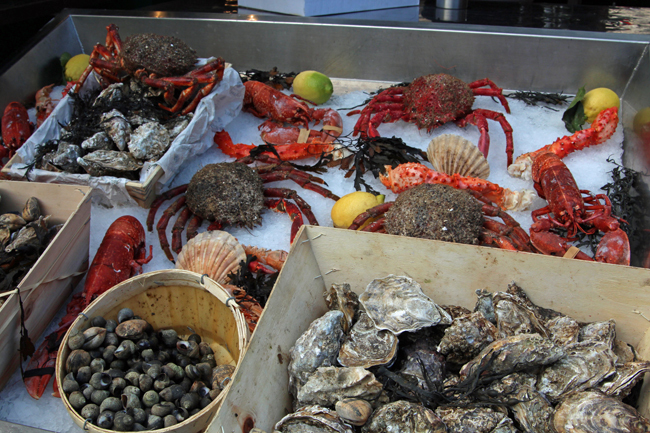 It spans several blocks and has numerous restaurants alongside fresh seafood stands, fruit, vegetables, local and international foods and more. 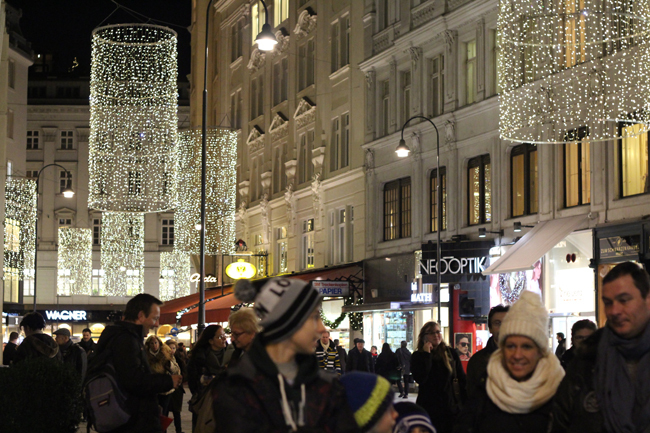 We opted for some quick fish and chips, followed by a quick wander before walking back to the city center. 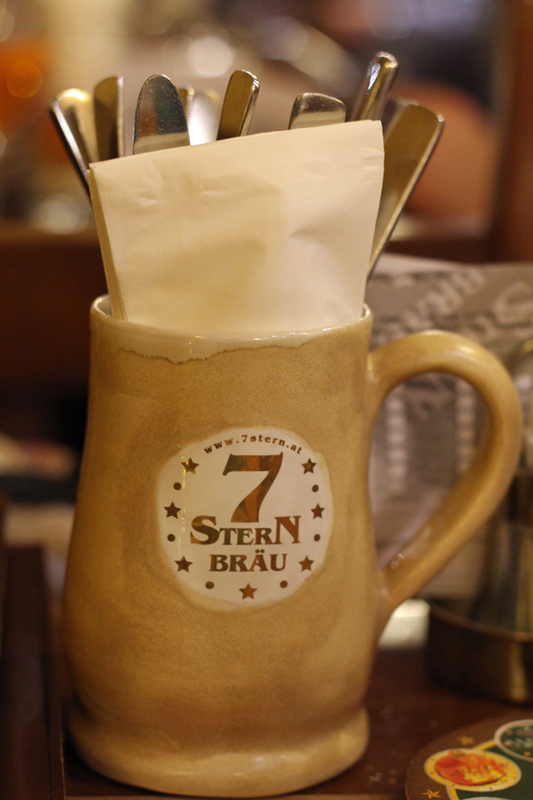 After a rest (hello, jetlag) we set out in search of a restaurant we had read about, 7Stern Bräu. 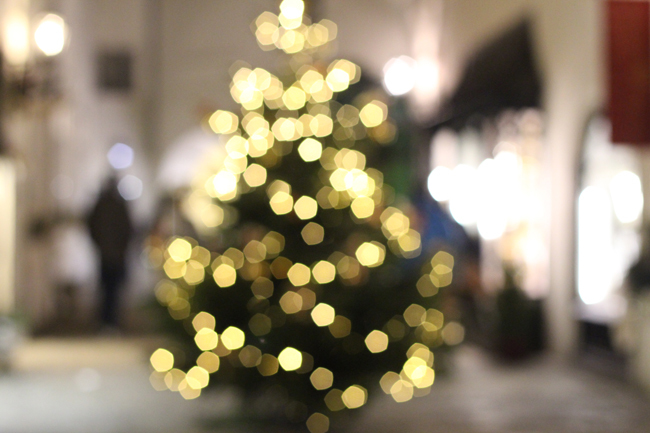 It is located near Spittelberg, an artsy neighborhood with a very cool Christmas Market. 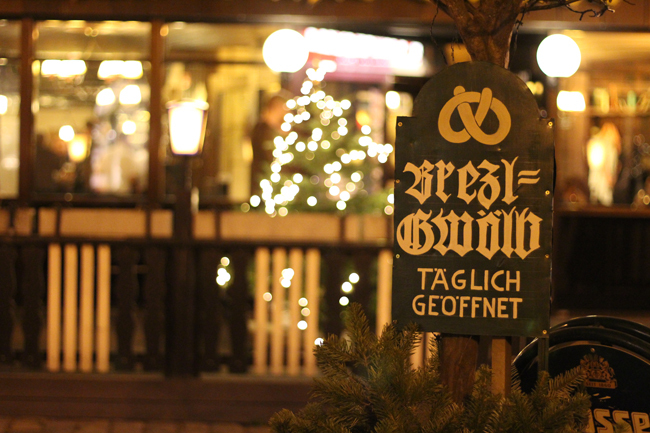 We found the restaurant with no problems (different story the previous day!) 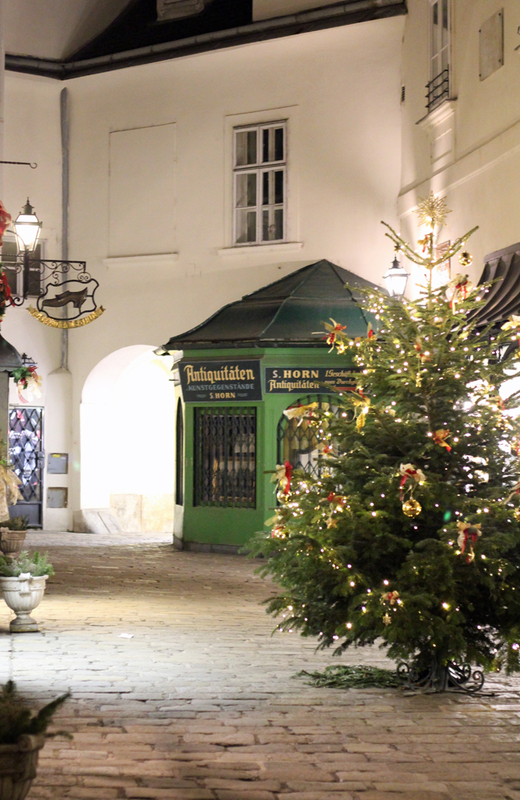 ducked out of the cold night air and shortly had two beers and nice, hot Austrian dishes set in front of us! 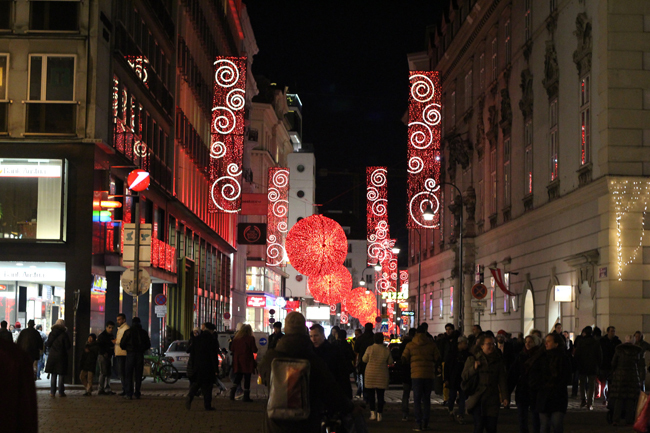 During Christmastime Vienna lights up at night. I know this is true of most cities in the world nowadays, but there is just something magical when you are surrounded by towering structures that have been there for hundreds of years and have so much history. 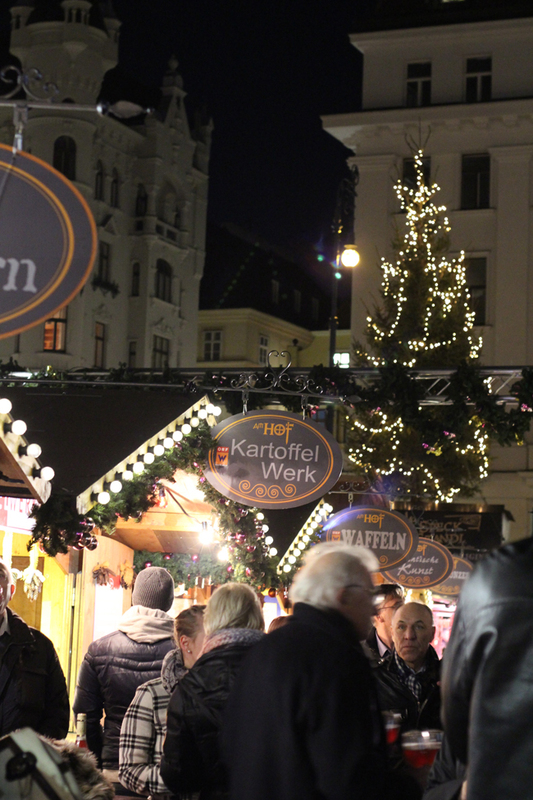 We walked off our dinner and of course had some mugs of punsch to keep warm while we took in the sites.